According to Ian Rapoport New York Jets rookie quarterback Sam Darnold is out for Week 10 with an ankle injury. This means that veteran Josh McCown will be starting under center for the New York Jets when they host the Buffalo Bills. #Jets QB Sam Darnold is dealing with a foot sprain that will knock him out this week, source said (as @MMehtaNYDN reported). Out, then the bye, and he’ll be assessed on a week-by-week basis. 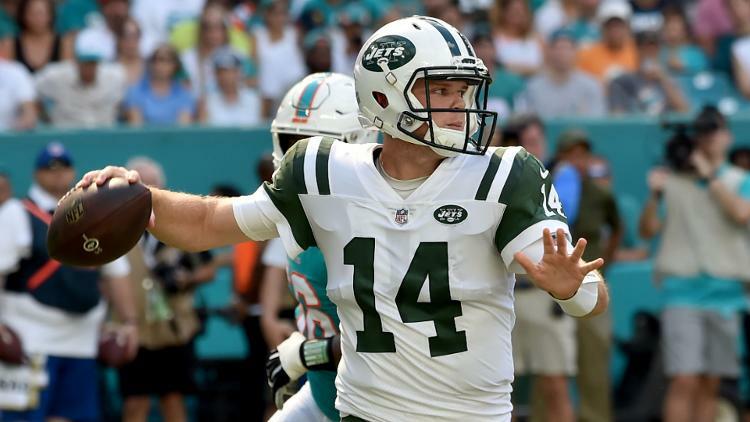 This will be the first start Darnold will miss in his professional career and comes off the heels of his four interception game against Miami. Darnold appeared to be in a walking boot at Wednesday’s practice and while Darnold has said he is fine, it appears the Jets are protecting their first round investment. With the Jets bye after the Buffalo game this weekend, it would give Darnold two weeks to heal up before the final stretch of games while at the same time giving him a chance to learn from the sideline. We will update you on this story as more information becomes available.